A young software engineer had recently moved to San Francisco, and wanted to buy a bicycle for his primary mode of transportation around the City. He went to a bicycle shop in the Mission District where he could test ride one of their bicycles before purchasing it. Thus, the young man took one of the bicycles for a quick-spin in the residential neighborhood surrounding the shop. When the young engineer was about three blocks away from the bicycle shop, an automobile traveling in front of him put its right turn signal on, and slowed down to parallel park. Thus, the young engineer attempted to slowly proceed past the vehicle. Out of nowhere and without warning, the vehicle abruptly swung left and made an illegal U-turn in the middle of the street. In doing so, the vehicle crashed right into the young man on his bicycle, causing him to be launched off of the bicycle and into the air, and be flung onto the street pavement. The young man landed so hard on his left shoulder that his left collarbone snapped. The San Francisco Police Department arrived to the scene of the accident, and the young man was thereafter taken by ambulance to the hospital. Due to the severity of the young man’s collarbone fracture, he was forced to undergo surgery to reset his collarbone and fix the break with the implantation of hardware. He ended up needing several months of rehabilitative treatment, and was forced to miss several days of work due to the accident. 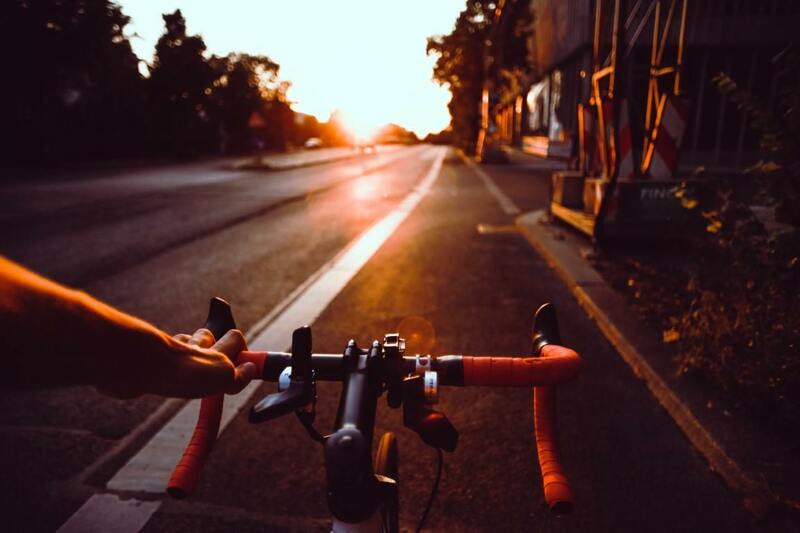 The bicyclist knew he needed help, so he contact us to be his bicycle accident attorneys. The first thing we discovered was unfortunately that the driver that was liable for the accident had only $50,000 of auto insurance coverage, which was only a little more than the young man’s accumulating medical expenses. This is so common in bicycle accident cases in San Francisco, but we wouldn’t let that stop us. Our legal team hammered away at finding all possible avenues of recovery for this young engineer in order to ensure that he was compensated for all his damages relating to the accident. The young engineer did not have a vehicle, and thus had no auto insurance coverage to recover from. Furthermore, he was new to San Francisco and had no other insurance coverage available for recovery. As a last resort, the team contacted the bicycle shop in the Mission District to find out if they had any insurance coverage for accidents that occur during test-rides. Luckily, the bicycle shop carried Medical Payment insurance coverage, which we were able to tap into in order to cover the extensive medical bills the young man had due to the accident. With the extra Medical Payment coverage, and the $50,000 policy limits we recovered from the liable driver, our legal team was able to not only get this young man’s medical expenses covered, but his loss of earnings, out of pocket expenses, and pain and suffering he endured as a result of the accident. This young man was extremely grateful that we were able to locate and exhaust all possible avenues of recovery for him, and very happy that he retained Sally Morin Personal Injury Lawyers as his San Francisco bicycle accident attorneys to represent him in his bicycle accident! If you or someone you care about has suffered serious injuries in a bicycle accident, get your FREE case evaluation now.